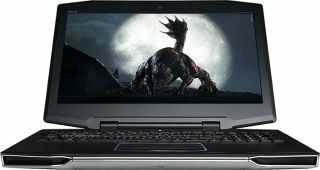 CyberPowerPC is currently selling a 15.6-inch laptop (MLK Vector 15 VR) with a GeForce GTX 1060 (6GB) GPU inside for $877 with free shipping. That's one of the lowest prices we've seen for a notebook with a GTX 1060. The caveat here is that it ships without an operating system. Even so it's still a good deal, as you can have CyberPowerPC install a copy of Windows 10 Home 64-bit for $60 (or the Pro version for $91). It just so happens to be an even better deal for anyone who already has a valid Windows license waiting to be used (or is able to transfer an existing one). Not all laptop vendors allow you to strip out the OS and pay for just the hardware. You can customize some of the specs, such as adding more RAM or a different storage scheme. Either way, the system comes with a 1-year warranty. CyberPowerPC also tosses in a HyperX Cloud Drone gaming headset at no additional cost.